OpenLM Application Manager is a system for restricting execution of applications on a network according to a central policy and for monitoring and auditing application usage. Helps you enforce software compliance. Serves the user organizations, not the software vendors. 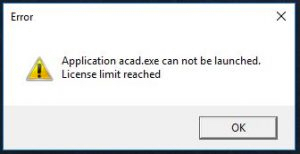 Works for any software installed on a Windows machine including both applications whose execution is controlled by a license manager (FLEXlm, LUM, DSLS etc) and those that are not. Works independently of vendor license managers but does not replace them. App Manager is not a license manager but it does have a certain similarity with them. It works from the user organization’s point of view rather than that of the software vendor and can be considered an internal auditing and control tool (as opposed to the external auditing and control tools, which are the license managers). OpenLM App Manager is an extension to OpenLM for Engineering Licensing; it cannot be run without OpenLM for Engineering Licensing. OpenLM for Engineering Licensing tracks and monitors the license managers whereas Application Manager tracks and monitors applications installed on the workstation. 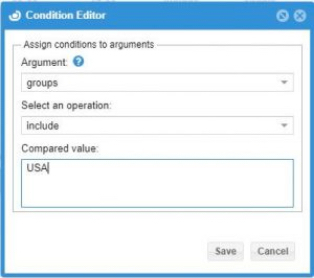 The usage information collected by Application Manager is presented in OpenLM reports under the license server ‘App Manager’. When the same application is monitored simultaneously both by OpenLM at the license manager and by Application Manager at the workstation, the usage data is shown only for the license manager. Identification of pirated software usage. Self-defined central policy for the running of software in your organization. Can permit/deny the running of applications or services according to user, application, vendor, IP and time. Added control over the use of software already controlled by a license manager. Restrict the number of instances of an application in concurrent use on the network. Measurement of software consumption so you can compare it against vendor billing. Central control of permissions to applications. Identify instances of engineering applications that are expected to run via license manager but are in fact run independently on the workstation. Including cases of non-network licensed applications and running of unauthorized applications. Built-in support for Bentley applications. Can restrict the usage of Bentley software, to a maximum number of concurrent instances in use according to the licensing terms (term license etc). Integrates with OpenLM and is handled just like any other license manager, including reports. A single instance of OpenLM can contain App Manager and other license managers together. Can prevent simultaneous usage of multiple application versions by a user .This solves a common problem with Autodesk that when a user executes two or more different versions of a product at the same time, a license is allocated for each one. Installation of OpenLM for Engineering Licensing on a network server, like any other OpenLM installation. Installation of Application Manager + OpenLM Broker on a network server – either Windows or Linux. Installation of agent on each workstation. You define conditions and rules for restricting application execution. Users who have not been given access to software apps will not be able to start them. If the maximum number of concurrent instances of an application has been reached, additional instances will not be allowed to run until the concurrent number has dropped. The activity of users using monitored apps will be logged and can be viewed in the OpenLM reports.